Disney has confirmed this morning that their next Starbucks location will be on Main Street USA at Disneyland Park in the current location of the Market House. Sadly, there will no longer be any more free refills on coffee OR Disney coffee drinks served once the Market House closes sometime next month. UPDATE 3/22 – As a part of the closure, the Market House will expand into the adjacent space that is currently being taken up by the Disneyana store that carries Disney art and collectibles. Disneyana will relocate to the Disney Gallery located in the Main Street Bank near the entrance of Disneyland. Cast Members have confirmed the last day of operations for the Market House to be Sunday, April 14. UPDATE 8/15 – We can report that the Market House Starbucks location is under construction. Disneyland has also announced that Starbucks will also be served in two new locations at the Downtown Disney District in California that includes one kiosk location and one just outside the World of Disney Store. We’re expecting openings of all the new Starbucks locations later this winter! 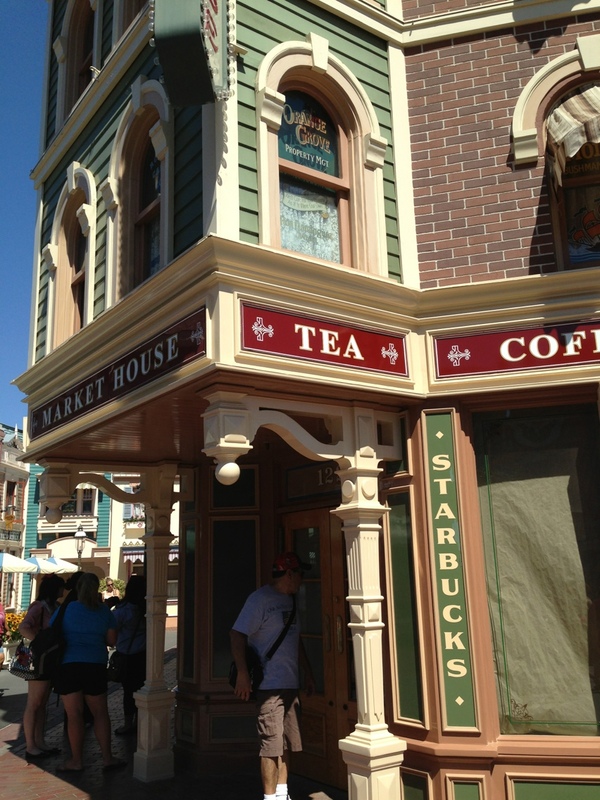 UPDATE 9/4 – Get your cups ready – the Starbucks at the Market House inside Disneyland Park will open September 25! UPDATE 9/25 – It’s official open! The new Market House has reopened and now features Starbucks products and a new interior look. As promised, the location does offer a more spacious floor plan including a queue for guests, and many registers for guests to get served quickly. The whole area itself is really fancy, bringing the turn-of-the-century story of Main Street inside with beautiful wood work and metal accents. 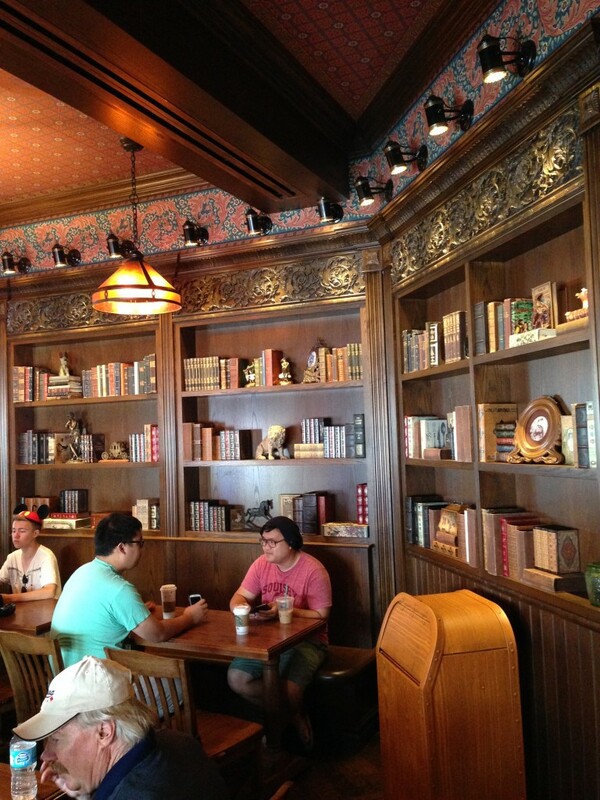 That beauty also extends itself into the new seating area called The Book Rest giving guests another beautiful area where they can enjoy and sip their Starbucks goodies amidst books and other antiques. Overall, we really like the new Market House. Walt Disney Imagineers did a great job keeping the location tied to its roots by keeping some of the original elements (i.e. the stove, telephones) around. 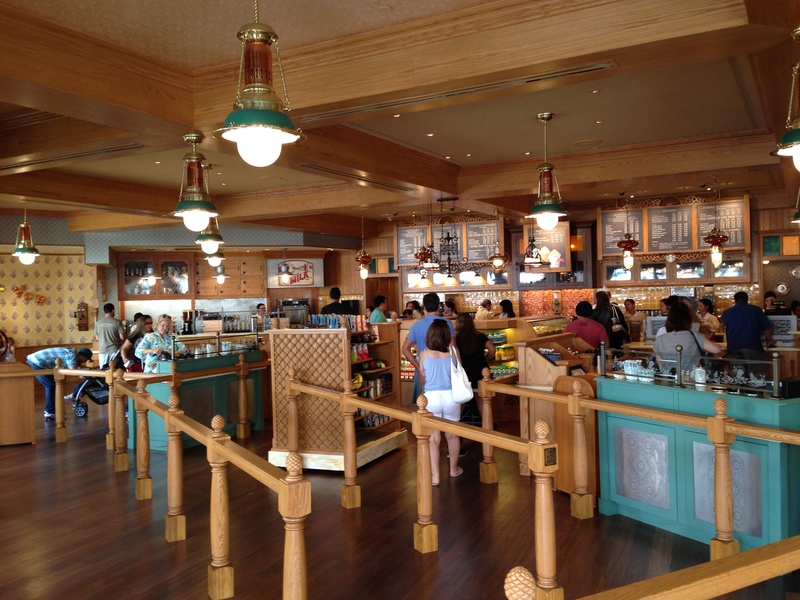 With the addition of serving Starbucks products, the Market House has only made itself even more known and will continue to be a go-to for guests who want that latte or tea before that firework show or parade in the evenings or day. Lots of changes are being made so quickly, but we feel that this will be a great addition to Main Street USA…aside from the free refills being taken away. Because you know…everyone loves Starbucks! What do you all think of the change? Sound off in the comments. Previous story Egg-citing Vinylmation Hunt. Next story Fish And Fantasy.